The monsters are popping near you! 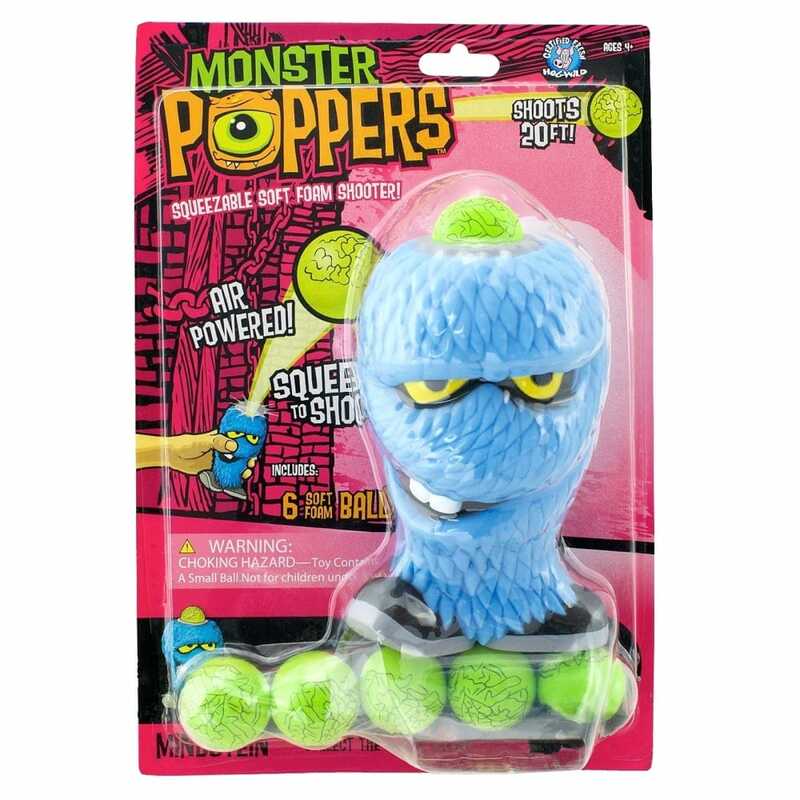 The Mindstein Monster Popper from Cheatwell Games shoots monster green brain soft foam balls. Pop a ball in its head... give it a powerful belly-squeeze... and POP!... the soft foam ball shoots up to 20 feet!